Cary Boyce is artistic co-director and composer-in-residence of the production group and new music ensemble, Aguavá New Music Studio, which specializes in projects involving contemporary music. His music has been heard around the world in concerts and festivals in more than 25 countries, on nationally syndicated public radio and television, and in two films by Prix-de-Rome-winning director Evelyne Clavaud, Aria ou les rumeurs de la Villa Medicís, and her artistic documentary Mandiargues: L’amateur d’imprudence. Boyce’s credits include original music for the soundtrack of the Public Broadcasting System (PBS) documentary American Horizons: The Photography of Art Sinsabaugh, also part of the Sinsabaugh exhibit currently touring museums in the United States, and music for Harp Dreams, the PBS documentary on the USA International Harp Competition which won three regional Emmy Awards in 2011, including one for original music. His oratorio, Dreams within a Dream, was the subject of a public radio special released in 2004. Boyce’s Ave Maria was featured on the Dale Warland Singers’ Cathedral Classics nationally syndicated radio special, as well as on their concerts in Minnesota. Boyce’s music, often performed by Aguavá New Music Studio, has also been featured on such syndicated shows as Harmonia, Center Stage from Wolftrap, CD-Tipp (Europe), and syndicated on Deutsche Welle. 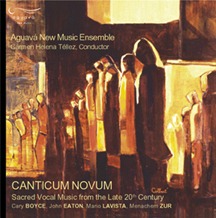 His cantata, Ave Maris Stella, was premiered by Aguavá at the International Festival Cervantino in Mexico, and subsequently broadcast throughout Latin America by the BBC. His Hodie Christus natus est premiered at Washington National Cathedral’s 50th anniversary holiday concert, winning the National Young Composers Award. 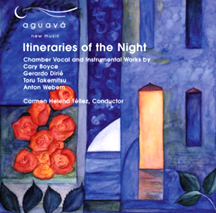 His quartet, Nightshade, was recorded for Aguavá by the Corigliano String Quartet. Current projects include The Flower of Departure, a concerto for viola, chorus, and orchestra. Dr. Boyce is the recipient of numerous grants and awards, including awards from Arts International, the National Endowment for the Arts, the Pew Charitable Trusts, and the Indiana Arts Commission. In 2006 he was awarded an ASCAP 2006 Rudolf Nissim Prize “Special Distinction” Award for his oratorio Dreams within a Dream which was commissioned and premiere with the Bloomington Chamber Singers in 2003. Boyce frequently tours with Aguavá as a conductor, pianist, or singer. 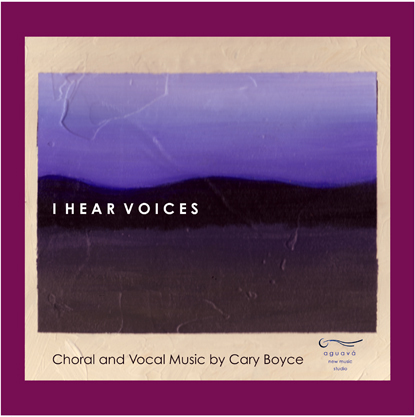 Cary works in public radio, and also teaches “Choral Masterworks” and “Music in Culture,” the first interdisciplinary music course at the Indiana University Jacobs School of Music. Born in Santa Rosa, California in 1955, Cary Boyce studied at California State University, Sacramento, took his Master of Music degree at University of North Texas while studying with Martin Mailman, and he earned a doctorate in composition at Indiana University Bloomington with teachers Eugene O’Brien and Claude Baker. He has been an active participant in diverse artistic and musical outreach endeavors of his community, not only as a composer, but also as a producer and music essayist with public radio, online journals, major orchestras, and community presses. 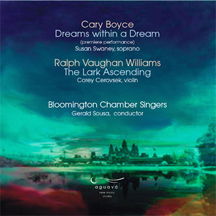 The music of Cary Boyce is published by G. Schirmer, Boosey & Hawkes, and by Aguavá New Music Studio. 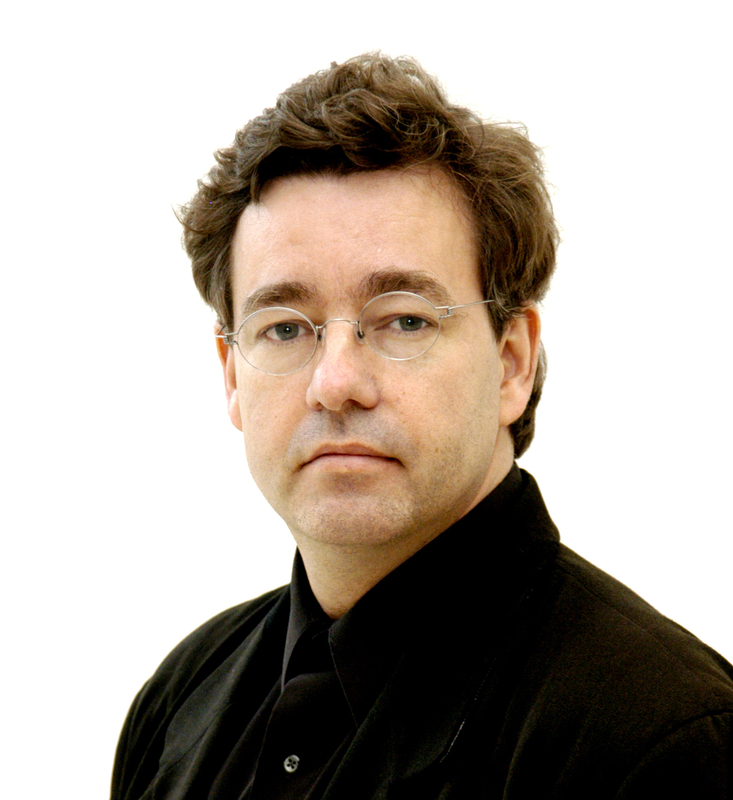 He remains active as a tenor, pianist, and conductor as well.